I live in long island ny and would like your recommendations for a tuner and mechanic. 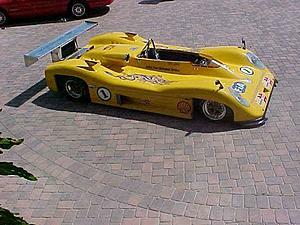 The car is a 1980 March 802 with a 13b PP, carb, open header. Also looking for a custom muffler. Last edited by steve m; 10-09-17 at 11:19 PM. Diyman25, I tell them it's a vintage race car which increases in value and they only made 25 . BTW I found a place called speedtek on long island. I hope to have success with them. Beautiful track car! Do you have any in car from it?